MEDFORD, OR— On Tuesday February 2nd, world-renowned Brian Tracy, a New York Times best-selling author and the CEO of Brian Tracy International, was joined by Chris Rollins, Founding Partner of the John Maxwell Team, for a one-day life-and business-changing event held at the Inn at the Commons in Medford and hosted by Million Air Medford and Make It Happen marketing llc. The Personal Growth, Leadership, and Business Transformation Workshop provided inspiration, along with tangible and proven methods that can cause radical and positive changes in life and business. 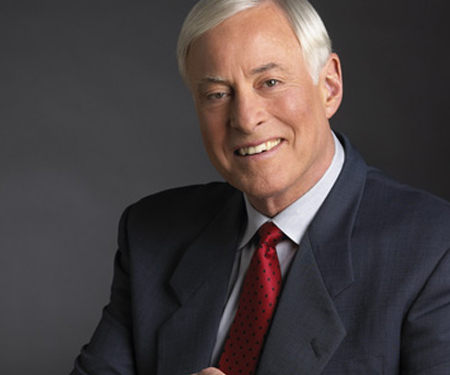 Brian Tracy is Chairman and CEO of Brian Tracy International, a company specializing in the training and development of individuals, executives, and organizations. His is among the top speakers, trainers, coaches, and seminar leaders in the world today. As the best-selling author of Eat That Frog, No Excuses, and Maximum Achievement, Tracy has over 72 books translated into over 40 languages worldwide. He’s worked with more than 1,000 companies and addressed more than 5 million people in 5,000 talks and seminars in the U.S and in more than 70 countries. Brian travels and works in over 116 countries on six continents, speaks four languages, and is currently president of three companies headquartered in San Diego. With a motto “Dream Big!!! Then Take Massive Action,” Chris Rollins is the president of Rollins Performance Group. His company focuses on developing leadership and sales teams to ‘wage war against the status quo and achieve massive top and bottom line growth.’ He’s also a Founding Partner and President’s Advisory Council member for the global John Maxwell Team, as well as a Master Trainer in the DISC Model of Human Behavior. During his career, Chris Rollins has worked with and been mentored by some of the top speakers and thought leaders today, such as John Maxwell, Les Brown, and Jeffrey Gitomer.